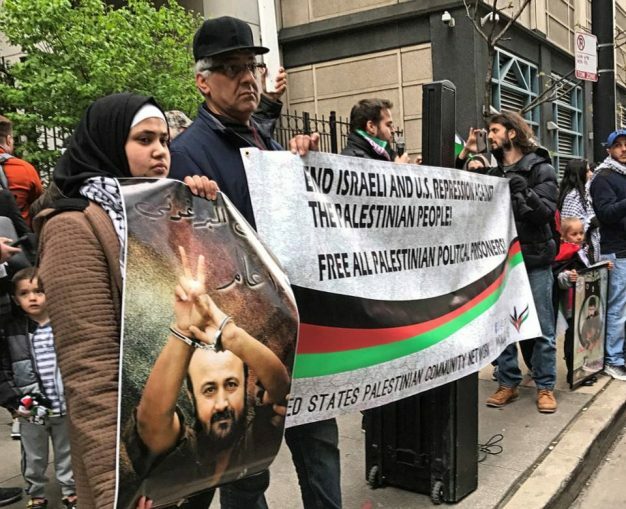 Over 100 demonstrators picketed Chicago’s Israeli Consulate on May 4 to express their solidarity with the over 1,500 Palestinian prisoners who have been on a hunger strike since April 16. They are protesting brutal conditions in Israeli jails. Speakers included Aarab Barghouti, son of Marwan Barghouti, the primary hunger strike organizer. Barghouti is serving five life sentences and has been imprisoned since 2002 for his leading role in the Second Intifada. Detroiters also held a solidarity vigil in the neighboring city of Dearborn on May 3, called by American Muslims for Palestine and Jewish Voice for Peace. At the close, organizer Amer Zahr drew everyone together. 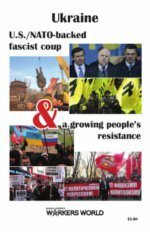 As the group drank a collective sip of water, Zahr asked them to think about what it means to be on hunger strike and subsist on nothing but water and salt.